Ready to get your hands dirty? 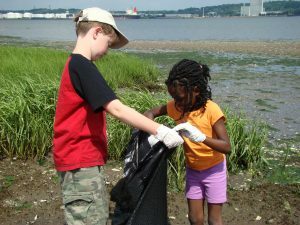 As a volunteer, there are many ways you can restore Long Island Sound’s shores and water quality and protect the land, air, and waters of our region. Check our calendar to find upcoming events near you, read on to learn about the opportunities we offer, or scroll to the bottom to register as a volunteer right now. As a habitat restoration volunteer, you’ll help remove invasive plant species and plant native grasses and shrubs to restore bird and wildlife habitat, stop erosion, and return riverbanks, dunes, and marshes to health. For more information, visit the Habitat Restoration page or contact Annalisa Paltauf at apaltauf@savethesound.org. Each summer, teams of trained volunteers test local waters in the western Sound for bacterial contamination and other signs of sewage overflows. Contact us at pollution@savethesound.org for more information. Help stop pollution—plant a rain garden! Rain gardens and bioswales harness the power of native plants to filter pollutants from stormwater runoff and ease flooding. Learn more about these green infrastructure tactics here or contact Annalisa Paltauf at apaltauf@savethesound.org. 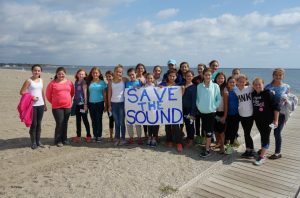 Each year, Save the Sound coordinates coastal cleanup events in communities across Connecticut and New York. You can sign up to join an established shore or watercraft cleanup, or register as a Cleanup Captain to organize your own beach cleanup team! For more information and to sign up, visit the Coastal Cleanup page or contact Annalisa Paltauf at apaltauf@savethesound.org. When thousands speak with one voice, leaders listen. Sign up here to receive action alerts and stay informed about key environmental issues in Connecticut and New York. You’ll join a citizen network of more than 15,500 people making a difference for your environment. Registering for an event online? Be sure to view our volunteer waiver.